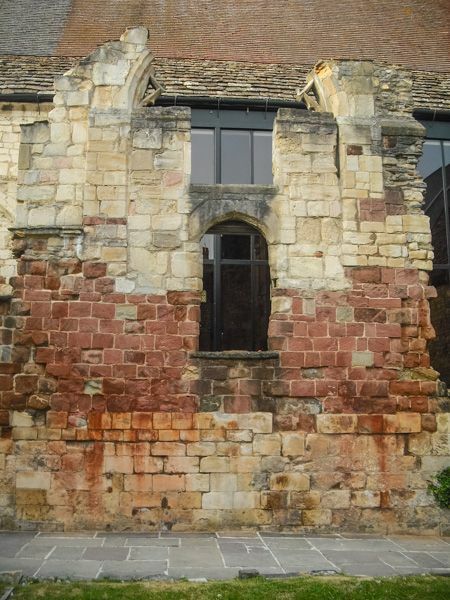 Gloucester Blackfriars is one of the finest surviving examples of a medieval Dominican friary. Black Friars was the name commonly given to Dominican monks, who wore a black surcoat, or cloak, over their white robes. The friary was established around 1239 under the patronage of Henry III. 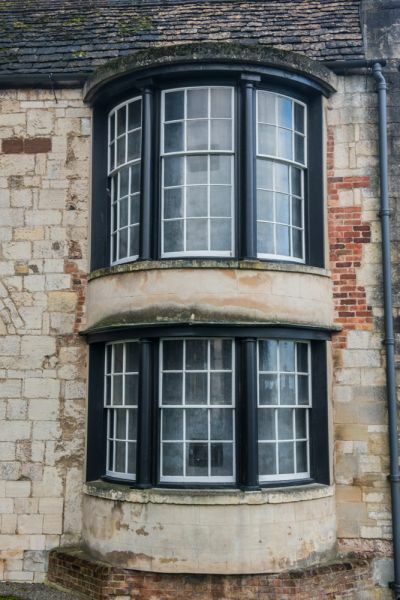 At its height, the friary was home to 30-40 friars, but by the 16th century Blackfriars had fallen on hard times, and the friars were reported to be living in a state of 'miserable poverty'. 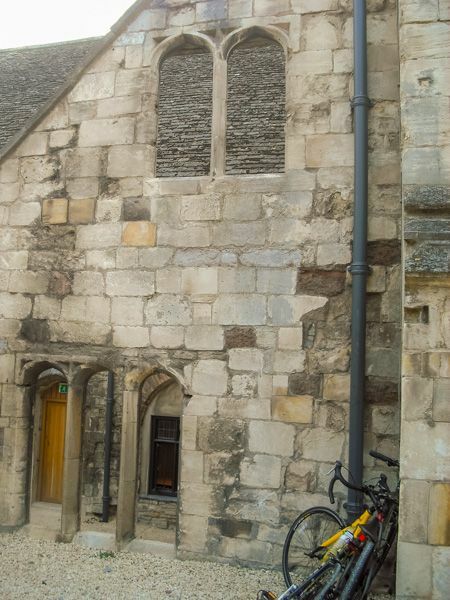 Among the best features of Blackfriars are the friary church and the dormitory, with a scissor-braced roof. 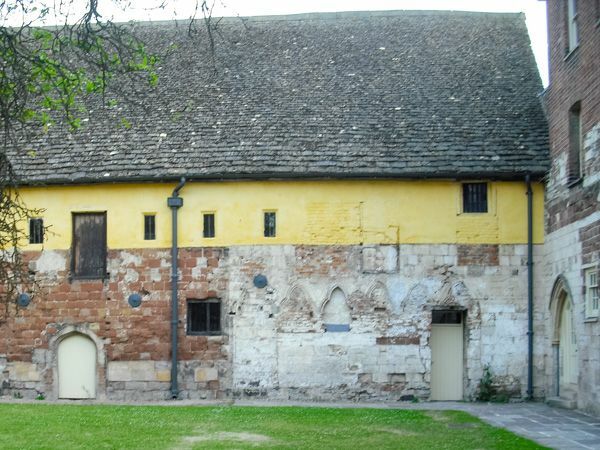 The core of the friary was a quadrangle of buildings arranged around a central cloister. Sections of cloister wall still stand and you can make out joist holes where timbers supported the roof. The cloister, which was finished around 1239, contains a scriptorium on the first floor. 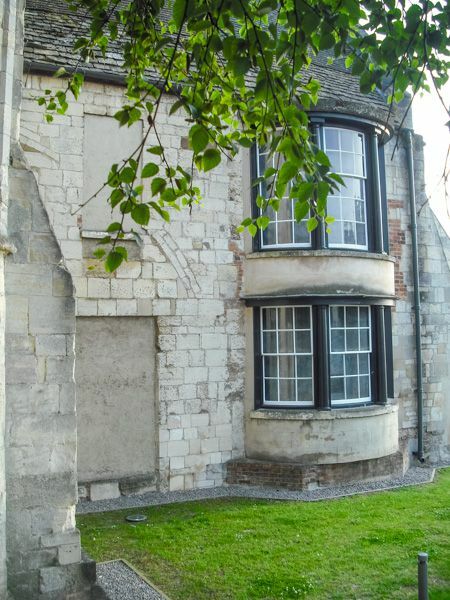 This may be the oldest surviving library building in England. The scriptorium was where the monks studied or worked on books and manuscripts. It was often placed along the cloister walk, where the light through the cloister arches provided good illumination for working on manuscripts. Below the scriptorium was the lavatorium, where the friars washed their hands. 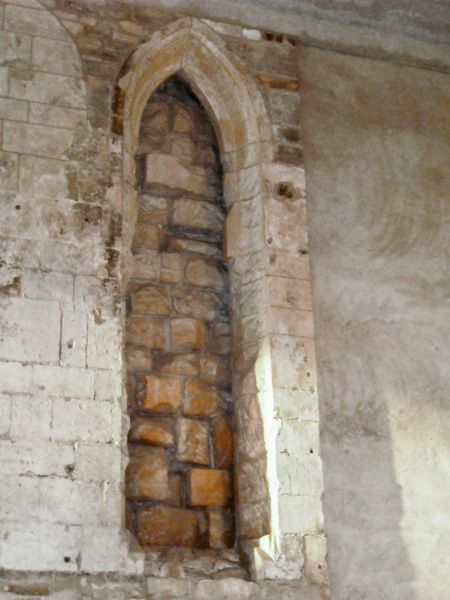 The arches that supported the lavatorium are still visible. 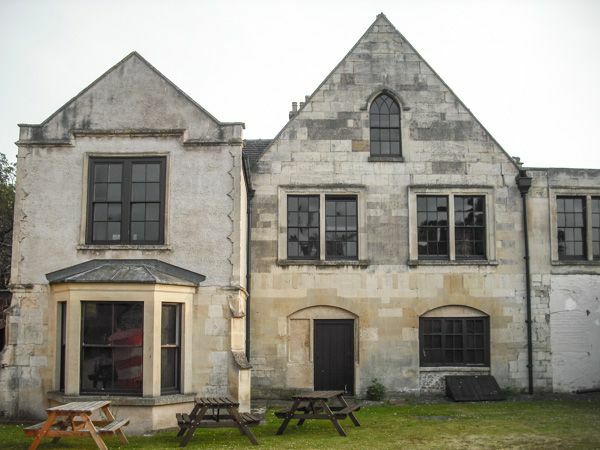 The friary was dissolved by Henry VIII in 1539, at which point it was purchased by Sir Thomas Bell. Bell was a clothing merchant of great wealth; indeed, at the height of his power he employed roughly a tenth of the entire population of Gloucester in the making of knitted caps. 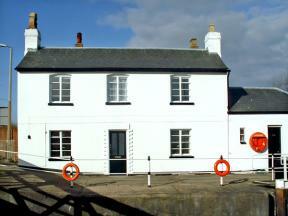 Bell paid 240 pounds for the friary, converted the friary church into a house, and later, into a cloth factory. The monastic buildings later went through a variety of owners. 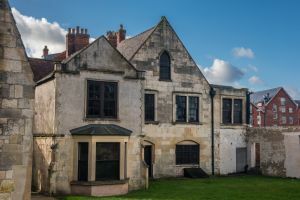 At various points, Blackfriars served as a home to a stonemason, private school, church, and mineral water bottling works. In the 19th century, the west range became a terrace of private houses. In recent years the friary has served as a venue for hire, housing events as diverse as weddings, corporate gatherings - and my 12-year-old daughter's fashion show! Location: Off Ladybellegate Street, off Southgate Street. Paid parking nearby.